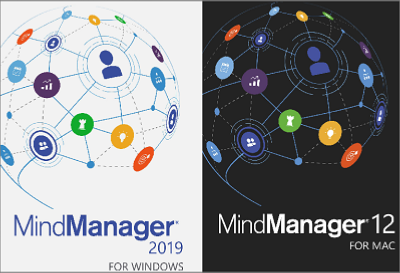 Transcend the limits on what you can see, create, communicate and achieve in your work and business with MindManager 2019. The most robust, customisable information visualisation software available, it empowers you to uncover hidden possibilities, unite information and teams, and unleash productivity to do great work faster than ever. MindManager 2019 helps you create the right map for every project, audience and purpose ... and with the right map, you can go anywhere.